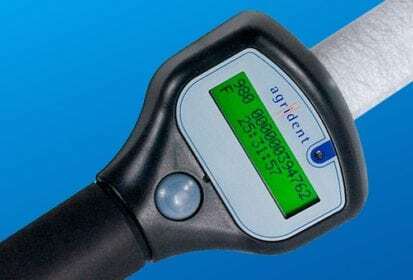 One of the world’s biggest livestock identification firms has expanded its share of the radio frequency ID (RFID) tag reader market with a deal to buy German manufacturer Agrident. Allflex, whose parent firm the Allflex Group rebranded in February under the name Antelliq, announced Aug. 21 it has bought Agrident for an undisclosed sum. Agrident, set up in 1997 and based at Barsinghausen, about 20 km west of Hanover, makes and sells readers worldwide for farm animal management and traceability systems. Agrident RFID readers approved by the Canadian Cattle Identification Agency as of last October include the company’s AWR100, AIR100 and AIR200 handheld models and its ASR600 and ASR700 stationary panel readers. Allflex already has six handheld RFID reader models on the CCIA approved list. Agrident’s fixed and mobile reader systems offer “advanced data capture features for management and traceability” and have “a worldwide reputation for excellence and superior performance,” Allflex said in a release.